Develop your cities and prepare for the invasion of Catan! 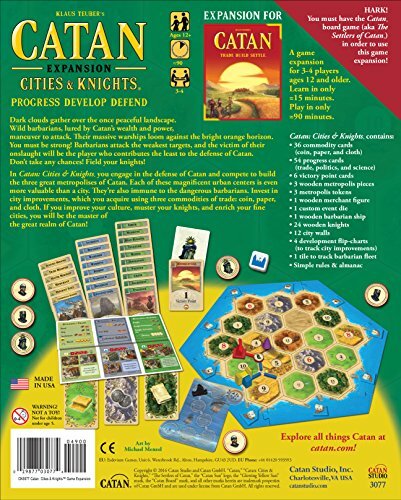 Produktinformationen "CATAN - expansion Cities & Knights english version"
Dark clouds gather over the once peaceful landscape. Wild barbarians, lured by Catans wealth and power, maneuver to attack. Their massive warships loom against the bright orange horizon. You must be strong! Barbarians attack the weakest targets, and the victim of their onslaught will be the player who contributes the least to the defense of Catan. Dont take any chances! Field your knights! 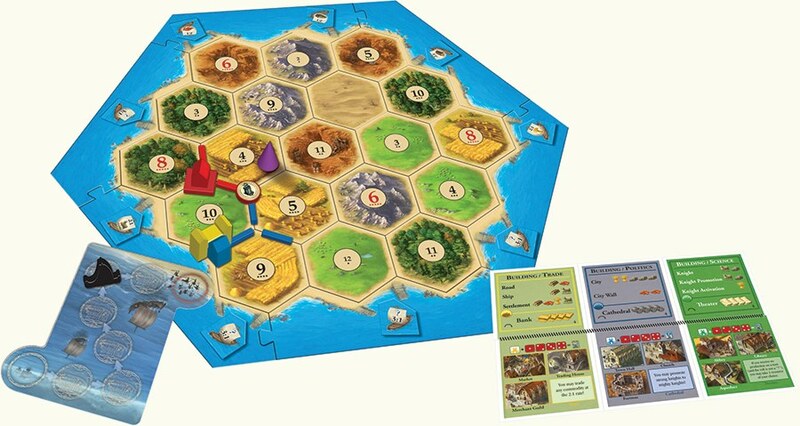 In Catan: Cities & Knights you engage in the defense of Catan and compete to build the three great metropolises of Catan. Each of these magnificent urban centers is even more valuable than a city. Theyre also immune to the dangerous barbarians. Invest in city improvements, which you acquire using three commodities of trade: coin, paper, and cloth. If you improve your culture, muster your knights, and enrich your fine cities, you will be the master of the great realm of Catan! NOT a complete game! 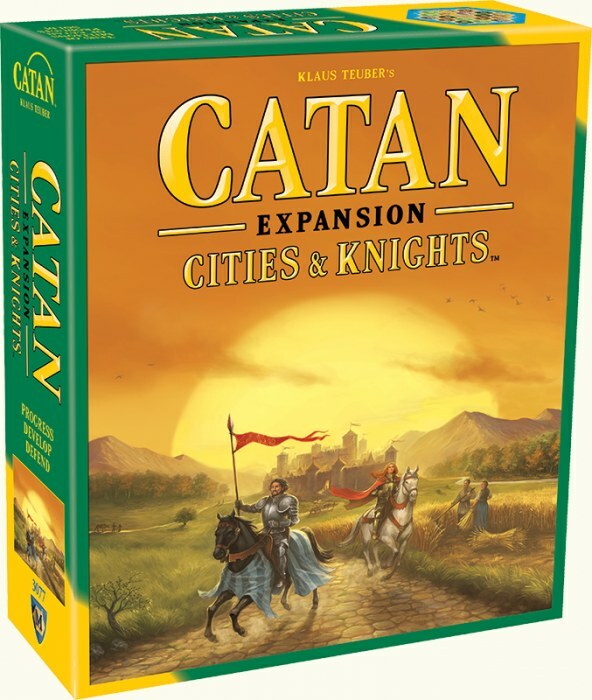 You need a Catan game (aka The Settlers of Catan) in order to play with this expansion!